When you need attic insulation in your Clarksville, TN, home, turn to the experts at 31-W Insulation. 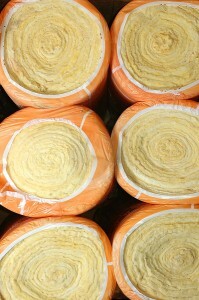 We can assist you in determining if your home could benefit from insulation upgrades. We can also provide you with information about different insulation products so you can make a smart decision that is perfect for your home. We are a family-owned and -operated company that has served the southeastern United States since 1972, so you can be sure that we have the experience and expertise necessary to help you choose the best insulation products for your home. Additionally, we will come to your home and, if you need help choosing the right attic insulation, we can give you our recommendations based on your home’s structure, your desired level of energy efficiency, and your budgetary requirements. You can rest assured that we only use high-quality products from some of the finest insulation manufacturers, including CertainTeed, Johns Manville, Owens Corning®, and others. For more information about the expert assistance you will receive when you choose 31-W Insulation to upgrade your attic insulation, contact us today. We are proud to provide insulation installation and other home improvement services to homeowners in Clarksville, Tennessee, and surrounding areas.